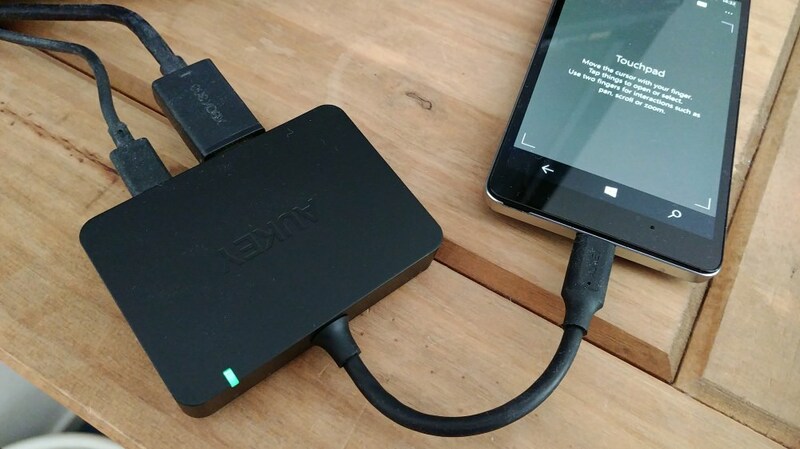 When Microsoft launched its Continuum Display Dock in 2015, there was a feeling that there must be some secret sauce inside, helping a 'humble' Lumia 950 drive a full HD external secondary display, in typical Continuum fashion. This was helped by regular firmware upgrades for the dock, so clearly there's some local processing inside? Now, while not wishing to denigrate Microsoft's engineering skills - and maybe there are things happening in the Display Dock that we just don't know about - I was also curious about the new breed of USB Type C hubs that have been appearing online and for significantly less money. Would they work with Windows 10 Mobile and the likes of the Lumia 950 and Elite x3? Turns out the answer is yes, and using these new hubs is just as seamless as when using the Microsoft first party accessory. You plug one end into the Windows 10 Mobile phone and the other into an HDMI monitor/TV and you're away. You don't even need to plug in any power. Continuum works just as it should do and there's audio too. Which is all something of a surprise, though in fairness it's also a demonstration that Microsoft used USB and display standards throughout when designing its own dock and the Continuum system. Of course, it helps if you do plug in power, via a Type C port on the hub's back. This then lets power through to the Windows 10 Mobile phone, which charges happily. 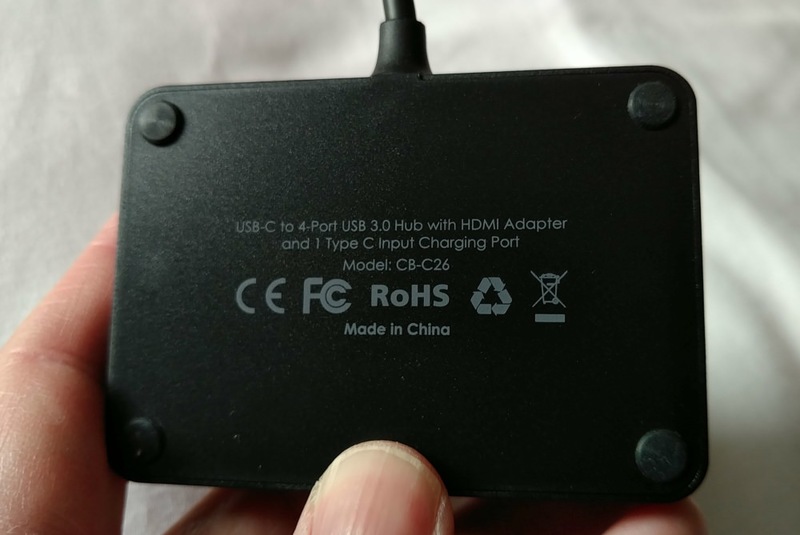 This AUKEY hub also has four USB 3.0 Type A ports, for plugging in wired mice, keyboards, USB storage, even hard or optical disks and I was able to verify that these work just as well as on the Microsoft Display Dock. Turning your Windows 10 Mobile phone into a full 'desktop', effectively. Now, AUKEY (and others) have brought out these new USB Type C hubs in response to Apple shipping the new Macbook Pros with only Type C, somewhat crazily, but the boom in hub availability has this distinct benefit for Windows phone users. 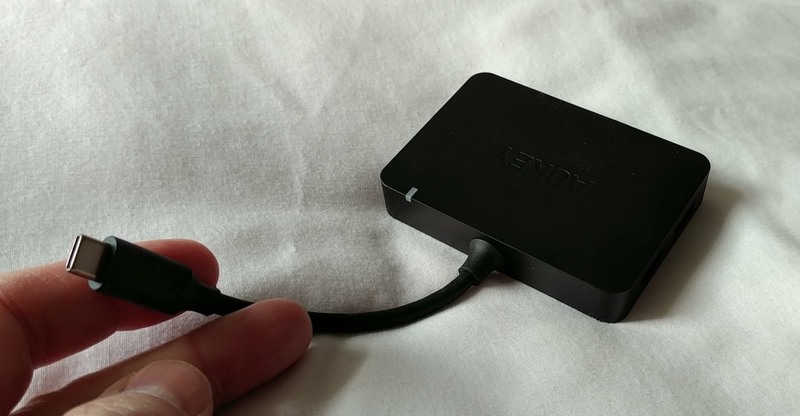 As I write this, you can sometimes find the Microsoft Display Dock for £55 or so, but this AUKEY version is smaller, lighter and much cheaper, around £35 on Amazon UK at the moment. Digging down into fine details reveals a current limit overall of 900mA for the USB ports, so you mit hit trouble with connecting hard disks, while the Microsoft version doesn't state a limit (anyone know what it is?). 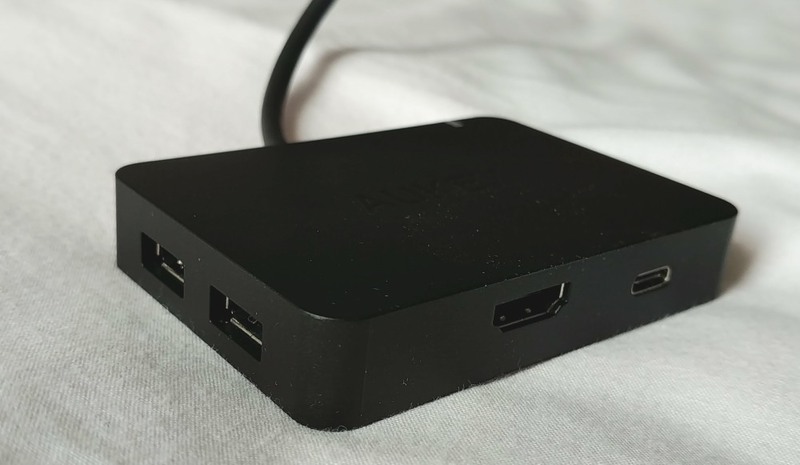 Then again the Microsoft dock has USB 2.0 ports, whereas these are full USB 3.0, should that be important to you in terms of what you want to connect into your Continuum experience. Finally, this AUKEY version doesn't have a DisplayPort option, and its flying lead is only 10cm long, so you have to keep it right next to the connected phone. Comments welcome if you've used either this AUKEY hub or a competing model - I know that there are several now available.